The result of the British general election is a setback for Irish republicans with the loss of a key seat to unionists in the North while the Tories under David Cameron secured a slim overall majority in London. It also appears that nationalist voters in the north of Ireland are becoming increasingly disaffected from electoral politics after Sinn Fein and the SDLP received their lowest share of the vote at a Westminster election since the early 1990s. Despite a higher overall turnout on Thursday, nationalists took a combined vote of just 38 per cent of the electorate, a drop of four per cent since 2010 and their lowest figure since the 1992 Westminster poll. Meanwhile, the share of the unionist vote jumped more than five percentage points since the last Westminster election, to a high of 46 per cent. The traditional republican heartlands have seen some of the greatest declines in vote share and this may have been a factor in the shock result of the election. The loss of the Fermanagh/South Tyrone seat, won in 1981 by hunger strike martyr Bobby Sands, to Ulster Unionist Tom Elliott is arguably Sinn Fein’s greatest electoral setback since Gerry Adams lost his seat in 1992. Commentators have argued that Sinn Fein and SDLP politicians appear increasingly comfortable with the share-out of power within the north of Ireland, demotivating nationalist and republican voters who have no alternative to the two main parties. In contrast, unionist voters have a range of competing options and the two main unionist parties have remained more engaged with their supporters in their fundamental goal of defending the union. Sinn Fein’s strength at Westminster is now reduced from five to four, while the SDLP held onto their three MPs after narrowly holding on in south Belfast. The Ulster Unionist Party were delighted with winning two seats and returning to Westminster -- their second seat came in South Antrim, where the DUP’s veteran Paisleyite Willie McCrea was outflanked by the more polished Danny Kinahan, a former British soldier, in the election’s second surprise result. For Peter Robinson of the DUP, there was vindication as former Belfast lord mayor Gavin Robinson managed to win his East Belfast seat back from Alliance, thanks to their pact with the Ulster Unionists and other unionist parties. The DUP’s hopes of being ‘kingmaker’ in a hung parliament burned brightly before fading somewhat as the Tories secured a surprise majority in Westminster. 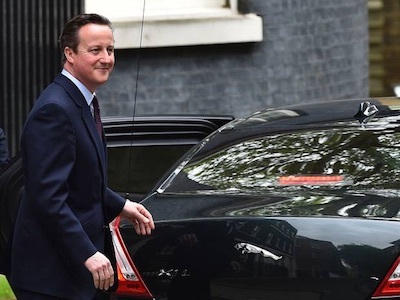 David Cameron was returned to Downing Street as prime minister after his party gained an incredible 331 seats -- five more than needed to form a government without support from other parties. While the DUP will not figure in Mr Cameron’s immediate plans, it is feared the prime minister’s slim majority means Peter Robinson’s party may yet be called on to support the Tories in difficult votes. It’s 20 years since former Tory leader John Major regularly sought the support of David Trimble and his fellow Ulster Unionist MPs to prop-up a vulnerable Tory government and there’s a danger of history repeating itself as a bid to stabilise a government in London undermines the political process in the north. Ahead of the Tories securing a Westminster majority, DUP leader Peter Robinson said he wanted to ensure what his party did what was “best for the United Kingdom as a whole and Northern Ireland in particular”. Sinn Fein leader Gerry Adams said his party had consolidated its vote despite being faced with a unionist pact. Speaking at the Belfast election count centre, Mr Adams says neither the DUP nor “any rabid Tory” could change the 1998 Good Friday Agreement if unionists enter into a deal with the Conservatives. The result of Thursday’s poll was the best Conservative performance since 1992. The Tories success was in stark contrast to the fate of Labour and the Liberal Democrats, who both suffered massive losses. Ed Mlliband stood down after Labour lost 26 seats overall and secured llttle over 30 per cent of the vote, while Nick Clegg quit as Liberal Democrat leader when his party lost 46 seats and was left with just eight seats. Nigel Farage of the extreme right-wing UKIP also backed out of his party’s leadership after falling to win a seat. In Scotland, the Scottish National Party enjoyed a huge landslide, winning 56 of the 59 seats and creating a major threat to the union with England. Labour shadow chancellor Ed Balls also lost his seat, as did leading Lib Dems Vince Cable, Danny Alexander, Simon Hughes and Charles Kennedy. It has insisted that it will press to hold a second independence referendum in Scotland if voters across the UK voted to quit the European Union. Scotland’s voice will not be ignored, said the former SNP leader, Alex Salmond, who now returns to the Commons more than a decade after he last left it. “The Scottish lion has roared this morning across the country. It is inconceivable that such a statement of unity by the people of Scotland could be ignored,” Mr Salmond said.